Get your popcorn ready… Backyard Productions’ biggest Star Wars film is showing on the big screen again, at the Chapter Art Centre, Cardiff on 14 November 2009. 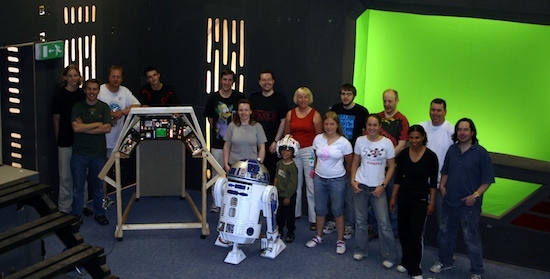 The Chapter Arts Centre in Cardiff, one of the largest and most innovative arts centres in Europe, will be showing our Star Wars-spoof, The Emperor’s New Clones, as part of a series of fan films. And what’s more, to see our fan-film sequel on the big screen again will cost you nothing, but you will still need to book a ticket (click here). And you won’t have long to wait – it will be on Saturday 14th November at 3 o’clock in the afternoon. As if that wasn’t all, you’ll get to meet some of the crew that made the film. We at Backyard Productions would like to say a big diolch yn fawr to the folk at Chapter.